Maria Vodovozova has been engaged in music since she was five. She studied at the Kiev Secondary Specialized Music School named by Lysenko. Since she was 5 years old she has became a member of the jazz band «Little Band Academia». She has taken a part in different festivals, music competitions and concerts, for example: Ednist`–jazz (2010, Kiev), Atlant-M (Kiev), Jazz Above the Sea (Skadovsk, 2008-2014), Okeshkin Jazz (2010-1012), ""Children are playing jazz"", “Jazz-Carnival“ (Odessa, 2010), Festival in memory of Simonenko, the Ukrainian jazz school founder and others. Maria was a member of the school symphony orchestra. With this orchestra and the school choir Maria has visited a lot of cities in Ukraine – Kyiv, Odessa, Skadovsk, Lviv and many others and a lot of countries - France, Austria, Germany, Slovakia, Poland and Turkey. 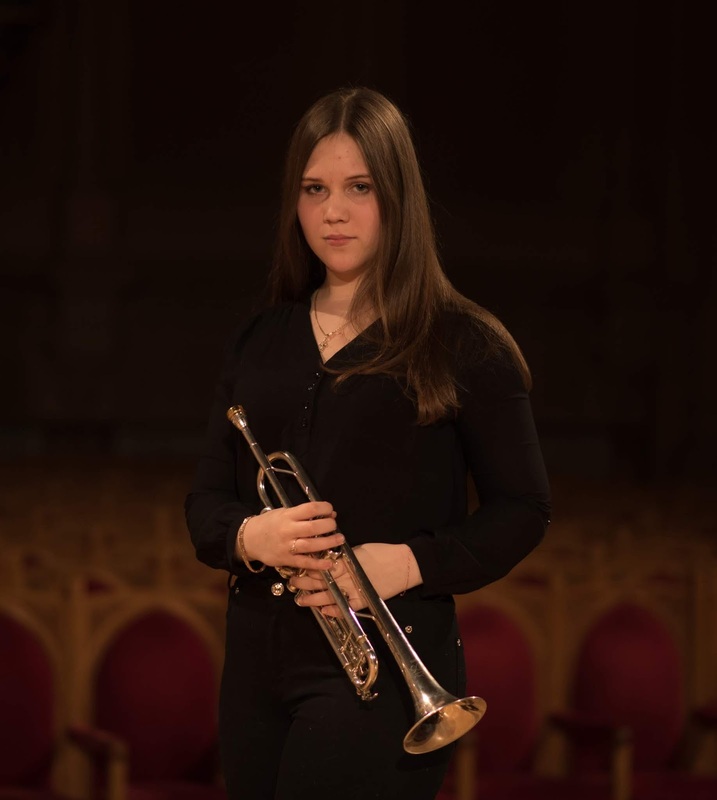 She got many awards and prizes at the Ukrainian and international competitions: Laureate of international trumpet, vocals and piano competitions in Ukraine and abroad- Young Europe (I prize) (Ukraine, Kyiv), «Jazz Debut» (II prize) (Ukraine, Kyiv) , the competition in memory of M. Sposito (I Prize (2012-2013, 2014-2015 ) (Ukraine, Kyiv), ART LIKE FEST (2018) (Ukraine, Kyiv), (I prize), International Internet Music Competition ""IMKA"" (Bosnia and Herzegovina, 2017) - I prize, «The colors-of-music» (Russia, Moscow, 2018) - winner of the second degree. She played a solo with the National Philharmonic Orchestra. She was awarded a full scholarship in the UK at The Purcell School. Now she studying there.